TALLAHASSEE, Fla. (AP) — The man who could become Florida’s first black governor on Sunday called on his opponent to refrain from name-calling and to focus on the issues. Tallahassee Mayor Andrew Gillum, the Democratic nominee for governor, was asked about comments Republican U.S. Rep. Ron DeSantis made after Tuesday’s primary. DeSantis said voters aren’t going to “monkey this up” by electing Gillum. While saying he wouldn’t engage in name-calling, Gillum also said he wasn’t going to compete in a “pig fight” with DeSantis and President Donald Trump, who endorsed DeSantis and has used Twitter to criticize Gillum. DeSantis and Gillum are competing for the seat held by Republican Gov. Rick Scott, who can’t seek re-election due to term limits and is instead challenging Democratic U.S. Sen. Bill Nelson. Sen. Kamala Harris is increasingly positioning herself for a what is expected to be a crowded Democratic primary for the White House in 2020. The former California attorney general, who is just at the beginning of her second year in the Senate, is taking positions that could endear herself with the Democratic base while allowing her to stand out from a group of Democrats who might seek the progressive mantle. Harris voted against a Senate immigration bill backed by centrists from both parties earlier this month, waiting until the last minute to break with other liberals such as Sens. Bernie Sanders (I-Vt.) and Elizabeth Warren (D-Mass. ), who both backed the measure. She argued that while the bill would provide a pathway to citizenship for young immigrants who entered the country illegally, she could not support it in good conscience because of the inclusion of money for President Trump’s proposed wall on the Mexican border. Benjamin Solomon “Ben” Carson, Sr. (born September 18, 1951) is a retired American neurosurgeon and former candidate for President of the United States. Born in Detroit, Michigan, and a graduate of Yale University and the University of Michigan Medical School, Carson has authored numerous books on his medical career and political stances, and was the subject of a television drama film in 2009. He was the Director of Pediatric Neurosurgery at Johns Hopkins Hospital in Maryland from 1984 until his retirement in 2013. Among his achievements as a surgeon were separating conjoined twins and developing a hemispherectomy technique for controlling seizures. Both achievements were recognized in 2008 with the Presidential Medal of Freedom. The following statement was provided by the candidate, who is responsible for its content. 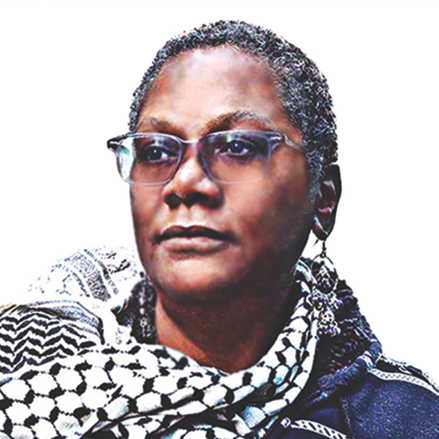 Monica Moorehead, Workers World Party (WWP) 2016 Presidential Candidate. We send warm greetings of solidarity to Peace and Freedom Party members. The 2016 election year is momentous. We are faced with the racist, reactionary hatred of billionaire Donald Trump and all the Republican candidates who want to take this country back to an earlier stage of imperialism — before the Civil Rights, national liberation and workers’ struggles won major gains and before the women’s and LGBTQ movements. One presidential candidate, Bernie Sanders, describes himself as a democratic socialist. Who would have thought he would be giving the Democratic Party establishment a run for their money? In the midst of all this stands the Black Lives Matter movement resisting unbridled police terror. This movement has forced police brutality, mass incarceration and gentrification front and center. This ongoing battle against white supremacy is a tremendous step forward for the working class, poor and oppressed — including the victims of racist state repression, notably by the police and ICE. The movement for immigrant rights continues, as witnessed in Wisconsin on Feb. 18, when thousands held a Day without Latinos. The fight against environmental racism is strong in Flint, East L.A. and North Carolina. The fight for $15 and a union continues. Capitalism is a system that must be uprooted if humanity and the planet are to survive however. This is why the Workers World Party campaign pushes for a movement to make fundamental change now and beyond the elections. Most importantly, the current period calls for a strong stand against white supremacy. This is why we are running two Black candidates, Monica Moorehead for President and Lamont Lilly for Vice President. Socialists must make the struggle against racism pivotal. The legacy of slavery is still integral to U.S. society, despite the historic election of the first Black president. The Black Lives Matter movement is carrying forth the ongoing struggle for Black Liberation, central to the victory for our entire class. Channing Emery Phillips (March 23, 1928 – November 11, 1987) was an American minister, civil rights leader and social activist, who made history as the first African-American placed in nomination for President of the United States by a major political party. Herman Cain (born December 13, 1945) is an American author, business executive, radio host, syndicated columnist, and Tea Party activist from Georgia. He was a candidate for the 2012 U.S. Republican Party presidential nomination. In May 2011, Cain announced his presidential candidacy. By the fall, his proposed 9–9–9 tax plan and debating performances had made him the Republican front-runner and he briefly led President Obama in the polls. In November, however, his campaign struggled with allegations of sexual misconduct – all denied by Cain – and he announced its suspension on December 3. At the end of 2011, the Pew Research Center reported that, of the Republican candidates, “Herman Cain was the most covered candidate” during the year. Alfred Charles “Al” Sharpton Jr. (born October 3, 1954) is an American civil rights activist, Baptist minister, television/radio talk show host and a trusted White House adviser who, according to 60 Minutes, has become President Barack Obama‘s “go-to black leader.” In 2004, he was a candidate for the Democratic nomination for the U.S. presidential election. He hosts his own radio talk show, Keepin’ It Real, and he makes regular guest appearances on Fox News (such as on The O’Reilly Factor), CNN, and MSNBC. In 2011, he was named the host of MSNBC’s PoliticsNation, a nightly talk show. In 2015, the program was shifted to Sunday mornings. Carol Elizabeth Moseley-Braun, also sometimes Moseley-Braun (born August 16, 1947), was the first and to date only female African-American Senator, the first African-American U.S. Senator for the Democratic Party, the first woman to defeat an incumbent U.S. Senator in an election, and the first and to date only female Senator from Illinois. She was a candidate for the Democratic nomination during the 2004 U.S. presidential election. Alan Keyes in Bedford, N.H., officially joined the crowded race for the Republican presidential nomination, billing himself as the “real conservative choice” in the crowded field. Keyes, a talk show host who also ran for president in 1996, had a message for conservatives–stick with the GOP. “This is not the time for us to abandon the decent heart of the Republican majority,” he told a crowd of about 60 supporters. He ran for President of the United States in 1992, 1996 and 2000. Jesse Jackson’s 1984 campaign sought to bring together a “Rainbow Coalition” of African Americans, Hispanics, the poor, the elderly, family farmers, and women that would challenge the conservative policies of president Ronald Reagan. Rev. Jackson placed third out of ten candidates for the Democratic nomination with more than 3 million primary votes. He won primaries or caucuses in four states and the District of Columbia. Jackson’s campaign made enormous progress by building on Chisholm’s legacy. His 1984 campaign registered nearly 2 million voters of all racial backgrounds. By registering so many new voters, Jackson expanded the Democratic Party’s base. He also inspired African American voters. Exit polls showed that nearly 12% of all Black voters were participating for the first-time. Jackson’s campaign won him a speaking slot at the 1984 Democratic Convention, which provided a national platform for him to present his agenda. In his 1988 campaign, Jackson increased his support to 6.9 million primary votes and won 9 states, the District of Columbia and Puerto Rico. Shirley Chisholm was the first black woman to serve in the United States Congress. An early education expert, Shirley Chisholm was elected to the New York Legislature in 1964 and to Congress in 1968. She ran for president in 1972, winning 152 delegates before she withdrew. Shirley Chisholm served in Congress until 1983. During her congressional career, Shirley Chisholm was noted for her support for women’s rights, her advocacy of legislation to benefit those in poverty, and her opposition to the Vietnam war.